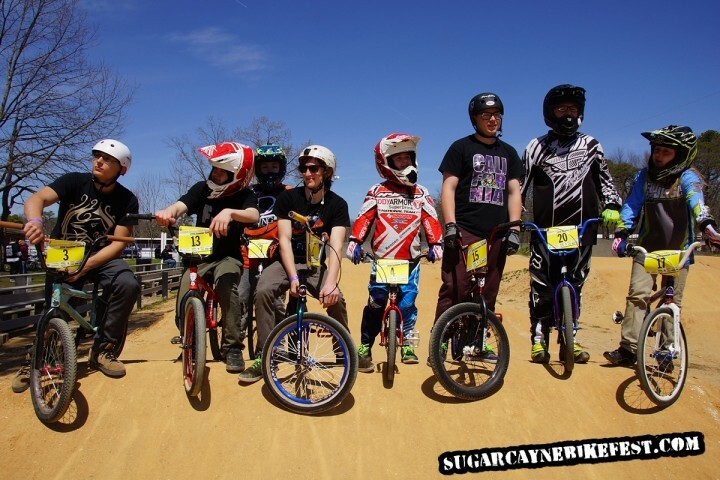 Below are the results from the 3rd annual Sugar Cayne Bike Fest at Egg Harbor Township BMX Track in New Jersey! We had an awesome time at the event and can’t wait to bring it back next year! In the tables below you can sort the results in any way by simply clicking on the arrows next the to the competition names. 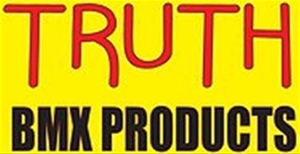 If you want to just see the the results of a certain age group just type in the age group in the search bar on the upper right of the tables. The table below shows a full break down of the stats and results of each competitions. You can sort this table in any way as well. 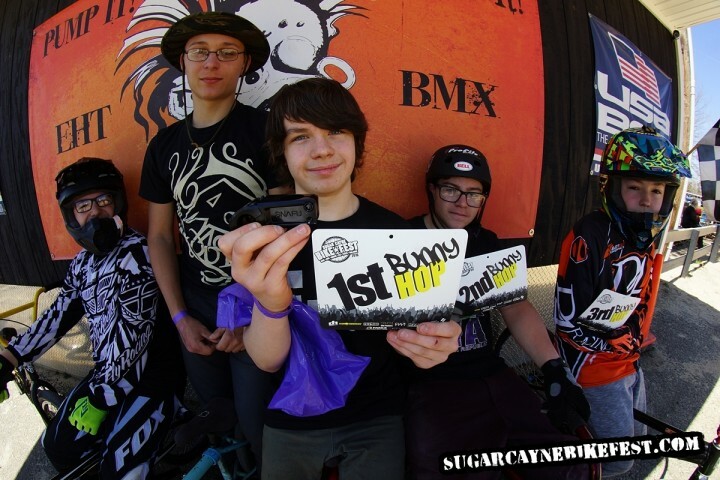 NOTE: In the “Most Manual” competition there was a 5 way tie between Easton Russ, John Hall, Anthony Diciano, Dawson Young and Jayden Indiero with 10 Manuals in 30seconds each. Then we did a tie break where the riders had 15 seconds to do as many manuals as possible. That led to a 3 way tie between Easton, John and Dawson. Then we did a “Longest Manual” competition as a tie break which lead to Dawson winning with 19’8″, 2nd went to John Hall with 17’8″ and 3rd went to Easton with 6ft.